The skin is the largest organ of the human body. As we grow older our skin’s outer layer (the epidermis) becomes more compact. Less oxygen is transferred to it and fewer nutrients – essential for healthy skin – travel through it. Unavoidably, we all experience the natural processes of aging. We also expose our skin to the sun, which results in UV damage that visibly shows up. When we neglect our skin, it shows our age. Skin neglect and the effects of skin damage can visibly appear in a variety of ways, showing up as pigmented areas, lesions, veins, wrinkles and uneven skin tone. Many of these conditions can be either corrected or deferred through the use of medical grade chemical peels, microdermabrasion, laser treatments and the use of cosmeceutical products. The science and today’s latest technology that dictate the protocols for proper skin care and treatment is important to heed. It is never too early to start to take care of your skin. Chemical peels, combined with microdermabrasion, is a great starting point to achieve younger, healthier looking skin, and is still considered to be the “gold standard” among Dermatologists. 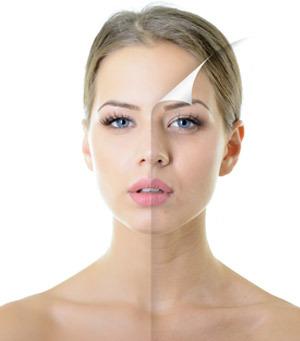 There are a variety of chemical peels available, and each has different benefits. At VIP Aesthetics, we’re skilled and experienced in correcting various skin disorders and improving your skin’s appearance. During your initial consultation, we will discuss with you various types treatments for your skin, and the results that you wish to achieve. We’ll also advise you how to maintain your skin’s “replenished” appearance by using various cosmeceutical products that also help to maintain your skin’s health. We’ll develop a tailored maintenance program just for you, so you may enjoy the results of your skin treatments for many years to come.